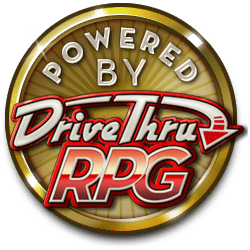 Founded in 1998, Louis Porter, Jr. Design, Inc. is a dedicated game publishing company specializing in the development of high-energy action and hyper-kinetic adventure settings. Louis Porter, Jr. Design has developed into several other brand imprints most recently, Devil’s Workshop. Focusing on innovative and groundbreaking design and development, Louis Porter, Jr. Design games are enjoyable for both veteran and new gamers alike.